세종 27년(1445)에 왕의 명에 의해 편찬된 한방의학의 백과사전으로, 이는 성종 8년(1477)에 활자로 다시 찍어낸 총 266권 264책 가운데 201권 1책이다. 이 책은 집현전 부교리 김예몽, 저작랑 유성원 등이 의방(醫方)을 수집하고 뒤에 다시 신석조, 김수온 등에게 명하여 의관 전순의 등으로 하여금 편찬하게 하고, 안평대군, 도승지 이사철 등이 감수하였다. 총 365권으로 편성되었으나 수차례의 교정과 정리를 거쳐 266권 264책으로 편성되어 성종 8년(1477)에 한계희·임원준 등이 30부를 인출하였다. 그 후 다시 간행되지 않았다. 처음 간행한 30부는 대부분 임진왜란 때 없어졌는데, 총 264책 중 252책이 임진왜란 때 왜의 장수 가등청정에게 약탈되어 현재 일본 궁내청 도서료에 처음 찍은 본이 유일하게 남아있다. 이 책은 「보단요결이」, 「주씨집험방」, 「왕씨집험방」, 「수친양로서」, 「사림광기」, 「산거사요」등 여섯 의방을 옮겨 실었다. 이 책은 국내에서 처음 발견된 유일한 초판본이라는 점에서 의학서적과 관련된 인쇄문화사 연구의 귀중한 자료로 평가된다. 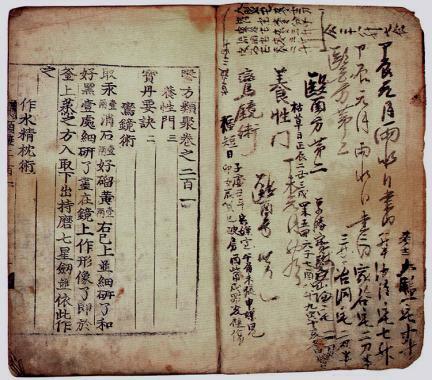 As an encyclopedia of Korean traditional medicine, this book was written at the King's order in the 27th year of King Sejong’s reign (1445) and was re-printed with a typeset in the 8th year of King Seongjong’s reign (1477). 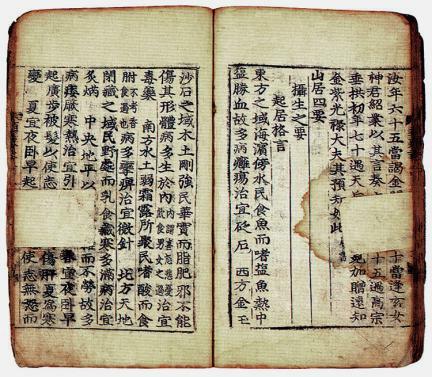 Prominent men of the time had participated in writing this book: Kim Ye-mong, who was the assistant chief of Jiphyeonjeon (Printing Bureau of the Joseon Dynasty), and Yu Seong-won, who was the chief reviser, collected information about medical treatments; medical official Jeon Sun-ui compiled the information into one book; Grand Prince Anpyeong and Yi Sa-cheol, who was the chief royal secretary, proofread the book. This book originally consisted of 365 volumes. After several revisions, it was compiled as 264 books in 266 volumes. In the 8th year of King Seongjong’s reign (1477), Han Gye-hui and Im Won-jun published 30 copies of these books. Since then, the books had not been published again. Most of these copies were destroyed during the Japanese Invasion of Korea in 1592. Among the entire 264 books, 252 were pillaged by a Japanese commander named Kato Kiyomasa. They are currently kept at the Library of the Imperial Household Agency of Japan and are the only copies remaining at present. 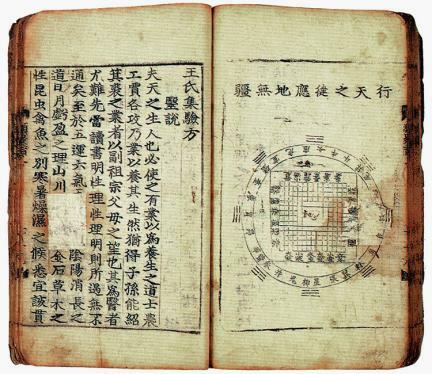 This book features six medical treatment methods, such as Bodanyogyeori, Jussijipheombang, Wangssijipheombang, Suchinyangnoseo, Sarimgwanggi, and Sangeosayo. This book is regarded as a valuable material in studying the history of publication related to medical books, since it is the only copy of the first publication discovered in Korea.